This blog has been written in memory of my Uncle, Steven Powell. I hope to show that organ donation, as well as providing life-changing opportunities for donor recipients, also importantly provides some comfort to donor families following their loss. No family expects to be in the position where they must decide if their dying loved one will donate their organs. But this is the position my family found themselves in Christmas of 2017 when Steve was unexpectedly placed in intensive care at Birmingham City Hospital. After days of uncertainty and hope, it was confirmed that despite all medical treatment there was nothing more that could be done to save his life. In a dream-like state, we were invited to speak with Judith – the Specialist Nurse in Organ Donation. This conversation was a bizarre one. The atmosphere in the room felt strange as Judith explained which organs and tissues it was possible to donate and we were asked questions about Steve’s health and lifestyle. Although Steve was not on the donor register, he had mentioned in passing he would like to donate his organs. And so the difficult decision was made to honour his feelings and go ahead with organ donation. Steve’s information was shared with transplant centres around the country and the search began immediately for potential recipients. We were advised to go home and get some rest but we were called back early hours of the morning because they had found a match. We had some time to say our goodbyes before Steve was transferred to the operating theatre for the donation operation. What happens after organ donation? A gentleman in his forties has received a kidney transplant after waiting for six months. 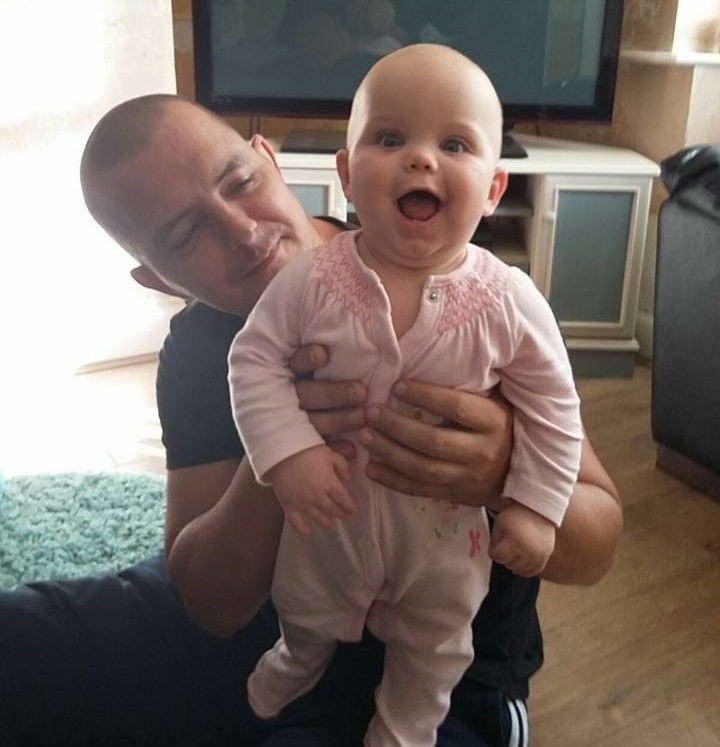 A gentleman in his fifties has received a kidney transplant after waiting for over a year and a half and a gentleman in his thirties has received a liver transplant. Steve had saved three lives. We were invited as a family to attend a ceremony on Steve’s behalf: The Order of St John Award for Organ Donation. The purpose of the ceremony is to commemorate deceased organ donors in the UK and recognise the contributions they have made to saving the live’s of others. Each family member had differing sentiments towards Steve’s organ donation and I don’t think anyone’s feelings were static. It was always bittersweet. With this in mind, everyone felt differently about attending the event. As we walked into St Martin’s Church in the centre of Birmingham, I felt apprehensive. There were around 8 tables set up and we were shown to our allocated spot by Judith, our amazing specialist nurse. Two St John volunteers were seated with us. It felt awkward. However, I had no need to be. Mr Crabtree’s carefully chosen words were sincere and heartfelt. Everyone in the family felt more comfortable after hearing him speak. Mr Crabtree and Diana then spoke with each family individually, thanking them for their loved ones’ contributions. The lead of each family was then given a badge, certificate and candle. The badge read ‘add life, give hope’. My Nan accepted it on her son’s behalf. We then heard stories from donor recipients about how organ donations had transformed their lives. We were all immensely touched and left the event feeling proud and appreciated. Our family had come together with the families of other donors to remember all of our loved ones and it felt special. We have received thoughtful and regular communication since attending the Order of St John Award for Organ Donation. For example, we have been informed about the Donor Family Network which supports families who have lost loved ones who have donated organs and tissues. They provide telephone support, anniversary cards and stories of hope and inspiration to list just a few! 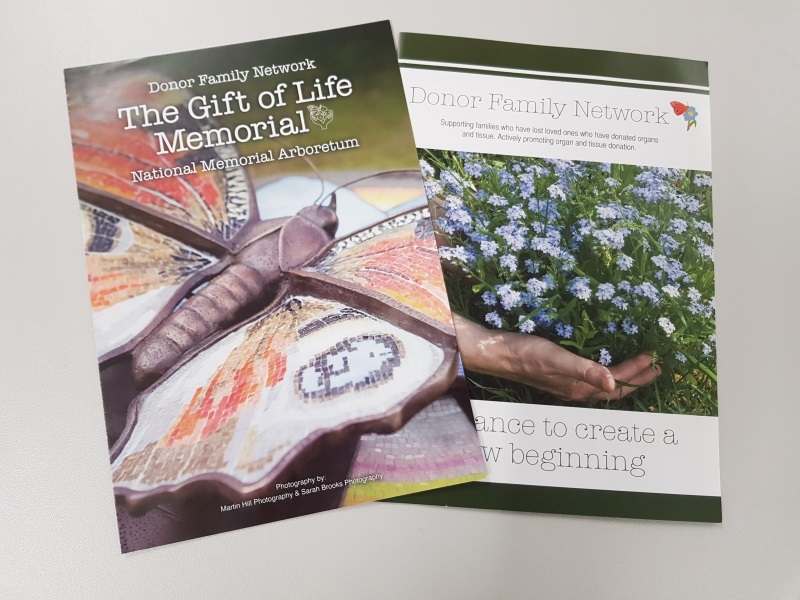 We’ve also been informed about The Gift of Life Memorial which is a national memorial for donor families and transplant recipients. We hope the donor recipient’s and their families reach out in the near future if they feel comfortable enough to do so. We understand they might feel awkward initially but it would mean so much to see the joy Steve’s donations have provided to the lives’ of others. I think about the people helped by Steve’s donation every day – it keeps me going. It’s been a tough year and an even tougher Christmas. But what has helped us through is the knowledge that three people have been given the chance of a healthier life because of Steve’s wish to donate. The Guardian recently reported that in April 2020 the organ donation law in England is due to change. From this time, it will be assumed that everyone is willing to be an organ donor after death, unless they have said otherwise. Those who want to opt out for personal, religious or other reasons will still be able to. My feelings towards this change in law are divided. On the one hand, I of course wholeheartedly support any change in law that has the potential to save, as reported in the Guardian, up to 700 lives a year. On the other hand, I can’t help but wonder how different this experience would have been for my family had Steve not made an altruistic decision to donate. If this decision had been made for him by law, would it have felt as special? Would it have provided as much comfort? I don’t think so. At least not in the same way. 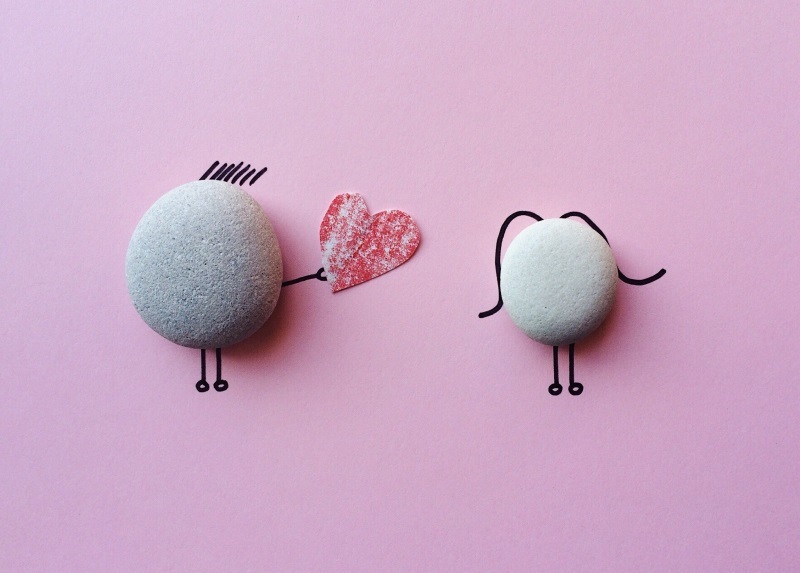 Debating whether or not the new ‘opt out’ law is the best way to combat waiting lists for organ transplantation is beyond the remit of this blog. However, I think encouraging people to talk about what they’d like to happen to their organs after death should still be central to any government strategy. As should the training of more specialist nurses like Judith, who can speak sensitively with families like mine in difficult times. 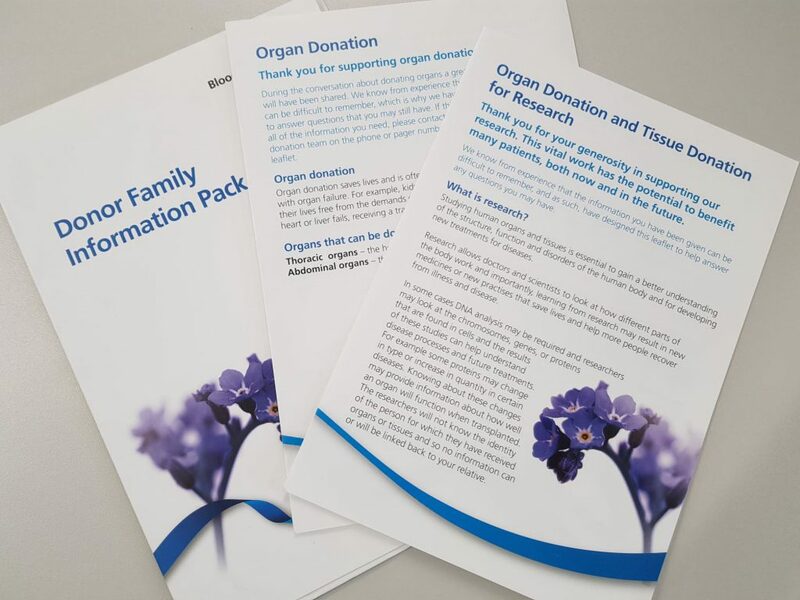 And sharing experiences emphasising the potential benefits to donor families is equally as important because even with the introduction of the new ‘opt out’ laws, it is still the family who make the final decision for their deceased relative.